Envy Micro Bonds are a safe bond option, they set like crystal and remove easily with our special remover causing no damage. The bonds are heat connected gently onto your hair holding the extension in place. Our bonds are small, not far from the size of a grain of rice. Envy Micro/Nano Rings are seen to be the safest option for hair extensions, the extension is held/clamped onto your hair with a tiny metal ring which is small and colour matched to be undetectable, they are flattened securely into place to hold your extensions in place. Do not wash or wet your hair for approximately 24 hours after initial application. Shampoo and Conditioner must be oil free, your stylist will have these for sale, they are the only products we recommend. Wash and condition your hair gently, preferably under a shower, lather gently downwards and rinse well. It is important that you ensure to rinse all products including shampoos and conditioner from your hair as this may leave a residue on your hair or in and around your bonds/rings which could cause shedding or loss of extensions. Pat dry with a towel, at no point when washing or drying should you rub vigorously with a towel or a brush as this could cause the hair to tangle or knot. Dry shampoo can be used but if your hair is excessively oily/greasy always wash as soon as possible. TREATMENTS - are available from Envy for you to to use at home to help keep your hair extensions nourished and soft, including softening sprays and other products. - No treatments with high protein content to be used. Intense in salon treatments can also be booked with your stylist to help keep your hair in the best possible condition. OILS/SERUMS - must only be applied from the neck area down to the ends of the hair, not to be applied near bonds or rings or any attachment fitting. Always hold/support your hair in a ponytail in your hand with a firm grip and brush the ends first to get out any knots, then repeat this process going further up until all the hair is thoroughly brushed through, this will stop your extensions pulling at the root, If you do not follow these careful instructions and your brush snags a knot it could rip your extension out from the root-causing a small bald patch -Ouch!! Or it could cause your extensions to slip out. A specialist brush is available to purchase from your stylist. You may notice that you loose the odd strand of hair from your extensions here and there this is quite normal when you consider how much hair has been applied, to prevent this from happening please ensure to use the correct products and follow all of our advice. We recommend loosely tying your hair back when going to bed to avoid any pulling of your hair/extensions while asleep. What products can I use? You can use holding /firm products such as Hairspray, Gel spray, Mousse, Gel etc, Your stylist will recommend products for use/sale. Products I should not use? As long as you follow these instructions above you should not have any problems with your extensions. Avoid natural oils and all products containing oils/serums/shine etc from anywhere near the roots/bonds/rings as this will cause shedding/moulting and may cause your extensions to slip and your bonds may turn white/grey if left in residue of product or if in excess oil, This cannot be repaired and the only option is removal of the extension/s, and re tipping the extensions with new bond/ring to re attach as new. If you are prone to greasy or oily hair you must wash it regularly. even natural oils from your scalp. High Protein levels in some treatments can cause the hair cuticle to constrict and go tight causing it to knot. We advise that you to NOT use any other treatment or products – only products we recommend. What tools can I use with my extensions? You can use hairdryers (not too hot) do not use a brush and pull your hair as you dry as this will heat the bond and cause slipping and can also cause a strain on your root over time, gently finger dry your hair and style once dry. Your hair may go slightly fluffy/fuller using this process but it is the proven way to look after your own hair at the roots, once dry you may use straighteners, tongs, wands, heated rollers etc, if using high heat tools such as straighteners and tongs etc ensure that you do not touch the bond as this could cause them to re melt.. and may also cause connection to the extensions next to it…. Using Heated appliances on your hair may shorten the predicted life span of your hair extensions. Yes you can tie up your hair in any way you like just be careful not to put too much strain on the bond/root, this can loosen your bond or pull your hair out at the root or weaken your hair. Every couple of weeks gently go through your extensions at the roots and ensure that they are not connecting or attaching to each other, if this is happening just simply pull them apart, it is usually just a hair wrapped around your extensions, or you may have slightly caught bonds with heated appliance and slightly melted the bonds together, but if this is not caught early this can cause matting. But do not worry – any matting at the roots will brush out when we remove your bonds/rings at rotation. Please note if you have neglected your extensions and caused excessive matting you may be charged extra for your rotation depending on extra products used and time needed to remove and correct. We also recommend using a satin pillowcase to sleep on and this causes less friction on your hair or the roots. Tie your hair back when sleeping. Always thoroughly brush through your extensions to ensure tiny knots are removed all the way through your hair. If your hair is for any reason knotty do not pull a comb or brush vigorously through it as this can cause hair to stretch or snap and is non repairable, spray our taming spray on before brushing to help your brush glide through your hair. If for any reason you lose the odd bond/ring extension do not throw them away, please keep these safe and give them to your stylist at Rotation for reattachment. A full Rotation should be booked in with your stylist approximately every 3 months. We remove each individual bond/ring which has grown down and re tip it and re attach it as new. Any extensions that may have come out can be re attached at your rotation. We can give you an estimate price for this, so please do not hesitate to contact us at Envy for more information. If left in longer than 3 months extensions may weaken/damage your own hair. You may also incur an extra charge due to bad aftercare of your hair and extensions if extra time needed by your stylist. Extensions are recommended to be removed by your stylist after no longer than 4/6 weeks Weave or 3 months Individual extensions, otherwise you may cause damage to your own hair. The price of this may vary, but we cannot stress enough that this needs to be done professionally!! Using the correct tools and solutions. Full removal prices vary depending on the amount of extensions to be removed and the time it takes to remove them. Prices are available from Envy on an individual client basis. Clients may notice strands of hair loss during removal of extensions, this is normal and is usually the natural hair loss we all have on a daily basis but which has actually been trapped in your extensions during wear. This is natural. Your weave is attached by plaiting your hair to your head in rows from ear to ear then we carefully stitch your hair weft onto your plait. We attach Micro Rings in a row neatly close together in your own hair , then we sew rows or double rows of weft to the rings which hold the hair securely in place. Your weft will be either machine stitched or a hand tied weft depending on the hair grade and choice of weave you choose. How many rows/plaits needed will be discussed with your stylist and is dependant on the volume/fullness/length you require, Whilst most clients find 1 packet enough you may require up to 2 packets to achieve your desired result. The weave will last approximately 4-8 weeks depending on your individual hair texture and growth before it needs removing and reattaching. 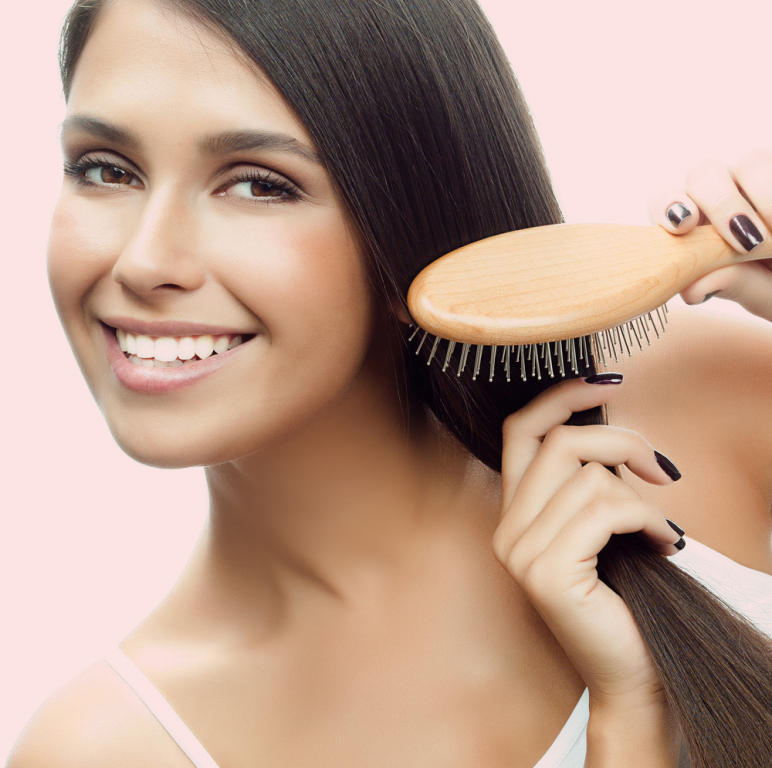 Always support your hair when brushing and styling, excessive pulling may cause thinning of the hair at the root. Look after your Envy Extensions with love and care and follow the above care procedures and they will continue to look healthy, shiny and silky at all times and your own hair will have no damage. REMEMBER – the only damage that can happen is what you cause so look after them and they will look fabulous!! Every client is an individual, Envy hair extensions cannot once attached take any responsibility for the after care of your hair extensions or your own hair. Although we maintain to use the best quality hair for each grade we use all the hair we use is human and it may vary slightly from one purchase to the next. Although we maintain to use the best quality hair for each grade we use all the hair we use is human and it may vary slightly from one purchase to the next. All our hair is tested before we buy it, and before it leaves us to ensure the best possible hair is delivered to you. We have developed this in-depth Aftercare information with over 20 years of knowledge and experience as leading experts in the field of human hair, as hair merchants, wig and Hair extensions specialists and educators. Please note all human hair used for hair extensions and wigs is a natural consumable product and the lifespan therefore depends on the aftercare provided. We do not hold any guarantees on any hair lifespan for these reasons. One purchase of hair extensions may differ sightly to the next due to unique characteristics from the Donor hair. Lighter colours will not last as long as darker colours due to the chemical process involved. It is important to read our brochure carefully and follow all the after care. All hair extensions should be fitted by a Level 2 NVQ qualified professional hair dresser fully trained in hair extensions. We recommend you request the appropriate certificates from your stylist / Salon. Hair extensions fitted incorrectly can cause a whole array of problems including damaging your own hair and also your hair extensions. This can be not only an expensive mistake but may leave you with damaged hair that takes years to re grow. We strongly recommend a consultation prior to fitting to determine the correct hair and fitting technique suitable for you and your lifestyle, and encourage you to book regular maintenance appointments suitable for you and your hair, your stylist will advise you on this. Hair extensions feel dry / or knotty? HAIR COLOUR CHANGE / DRY KNOTTY HAIR ? avoid excessive heat tools… the following guides are to help you maintain your hair extensions stay in the most beautiful soft silky condition they arrive in. CHLORINE - This may cause discolouration and knotting due to different levels in different waters, we advise against any underwater swimming, lighter coloured hair may turn orange/pink or become dull. HOT WATER - We recommend using lukewarm NOT hot water when washing your hair extensions, the hotter the water the more the cuticle will open which can release colour molecules from the cortex. COLOURING /LIGHTENING/TONING /TINTING/PERM - Any form of colouring or lightening, toning or perming will alter the state of the hair extensions, penetrating the cuticle with any of these products or products similar will immediately end any guarantees we supply with our hair. This is carried out at your one risk. No returns or refunds. HAIR LOSS AT ROOT - There may be many reason for hair loss at the attachment area, Poor fitting (we only recommend fitting by a qualified professional), Picking at the roots, causing tension by brushing to heavily, not supporting the hair during brushing. SLEEPING IN WET HAIR - We do not recommend sleeping in Wet hair EVER as this opens up your cuticle and will cause immediate tangling.